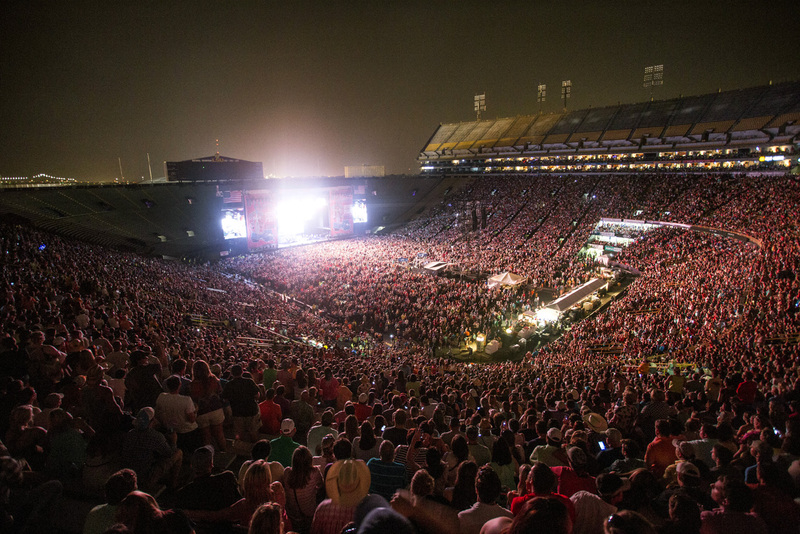 Bayou Country Superfest organizers have announced the lineup for this year’s event, which is returning to LSU Tiger Stadium May 25 and 26. The 10th anniversary lineup features Kenny Chesney, Jason Aldean, Florida Georgia Line, Kane Brown, Dan + Shay, Brett Young, Chase Rice and Cassadee Pope. Tickets go on sale Feb. 21 and are first come, first served. The decision to return Bayou Country Superfest to Tiger Stadium—after two years at the Mercedes-Benz Superdome in New Orleans—came about in part because of an incentive deal worth an estimated $1 million for the festival’s producer. The event moved to New Orleans when Tiger Stadium became unavailable due to renovation work. Visit Baton Rouge will pony up $350,000 in cash, as will the Louisiana Office of Tourism. The city-parish, meanwhile, will rebate to the festival 2% of sales taxes generated during the event, which is what it did for four of the seven years the festival was held in Baton Rouge. Those rebates generated more than $200,000 a year. When Robert Munson became senior associate director of athletics at LSU a year ago, he also made it a priority to bring the festival back. Though LSU incurs significant costs hosting the festival, in the past it has made out well, getting a cut of ticket sales, parking and concessions. Paul Arrigo, President & CEO, Visit Baton Rouge said in this morning’s announcement that his office is already receiving calls from out-of-state visitors planning to attend this year’s music festival. The full festival schedule is on the Bayou Country Superfest website.